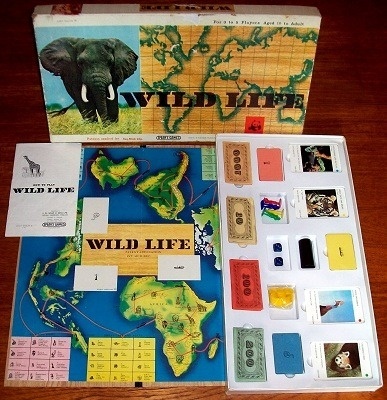 'WILD LIFE' BOARD GAME: All over the world wildlife in its natural state is threatened by extinction at the hands of man. Many animals and birds have already been wiped out and nobody can bring them back; many more are in danger of extinction in the near future. Wild Life shows you how an animal reaches a zoo where often it is the only chance it has of survival. One of the men who roams the world looking for animals for zoos is Peter Ryhiner. It was his idea to publish a game which shows the ups and downs in the adventurous life of an animal-catcher (as distinct from a big-game hunter) whose aim it is ensure the survival of wild animals. 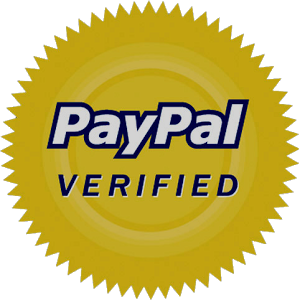 Recommended by the World Wildlife Fund. The game box is in excellent condition. The game is complete (which is very impressive given the age of the game and the large number of components) and the game contents are in very good to excellent condition throughout. The game board itself gives the appearance of being made from wood and is in excellent condition. This is a beautifully presented vintage board game that would be a fine asset to any collection.